A print envelope says a lot. After all, first impressions still matter a great deal. American Digital is proud to offer 4-color envelopes, full-color envelopes, process color envelopes and even short run color envelopes for all your business needs. Like we said, an envelope is the first impression. 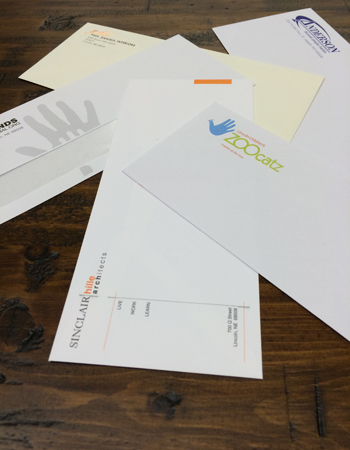 However, custom stationery and letterhead can be the lasting impression. Call us at 610-337-8722 and we’ll give your customers and prospects a piece of mail they look forward to opening.